SweetTree is proud to be backing a play that explores the impact that early onset dementia can have on families. And as SweetTree’s Admiral Nurse Rikki Lorenti found when he recently attended a play reading and took part in a post-show Q&A, it raises many important questions. Don’t Leave Me Now, written by Brian Daniels and directed by Jeni Draper, was inspired by two real life stories. It explores the impact that early onset dementia has on two very different families; highlighting the fears, emotions, and challenges faced. The play is being performed across the UK in hospitals, hospices, care homes, universities, community centres, libraries, theatres and schools. Audiences have included senior NHS staff, dementia practitioners, GPs and nurses, as well as friends and family of people with a dementia diagnosis. It is endorsed by leading charities, including Dementia UK, Dementia Pathfinders, Dementia Forward, Cruse and the National Council for Palliative Care, and has been welcomed as a learning resource for carers, family, health professionals and dementia practitioners. “It’s been a real voyage of discovery, and the feedback I’ve had from families, carers and mental and heath care practitioners has been invaluable,” explains Brian Daniels, the play’s writer/producer. 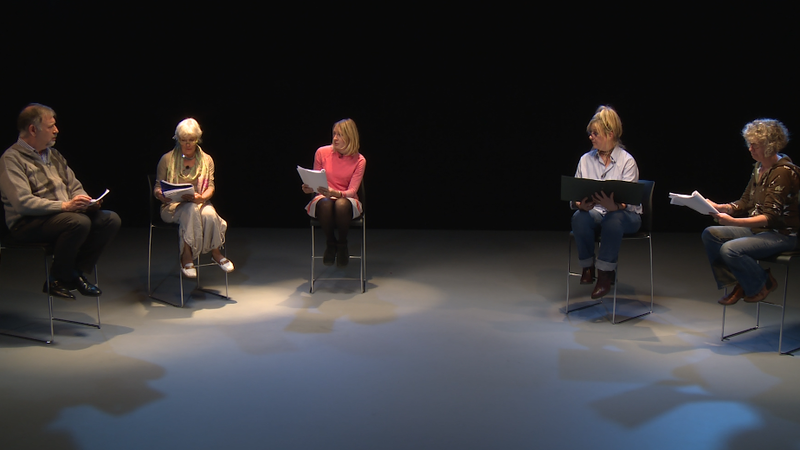 The play was inspired by the diary of Professor Rachael Dixey who nursed her long-term partner Irene through early onset dementia and wrote about her experiences. This was fused with the story of Chris, whose wife Cindy visited him daily in a care home for the last seven years of his life. The play Don’t Leave Me Now is based on the book, ‘Irene, Alzheimer’s and me’ by Professor Rachael Dixey and will be available to buy from May 2016. Visit www.medinapublishing.com for more details. That is such a positive and heartwarming thing you have done , putting irene/ june’s story out there ; it is obviously a really helpful and cathartic thing for the people who see it . It is circulating so widely and the response is brilliant. I had no idea your book was coming out in May – you are an amazingly ‘Can Do ‘ person! You ‘ just get on with it’ even though the going has sometimes been tough for you- to put it mildly . . .